When the winter months creep in, it's time to switch out the light, summery colors of your jewelry collection for rich, textured pieces that stand out against your bundled-up wardrobe. DIY jewelry is a good way to start work on your fashion for the winter, and here in 24 Winter-Ready Jewelry Designs, we've got all the best patterns to get you started. Keep warm and cozy with crochet bracelet patterns and knitted cuffs, and dress with the weather with winter-inspired designs. With this collection of jewelry patterns, you'll be ready to face the cold weather in the best of style. From crochet and knit bracelets and cuffs to beaded snowflake jewelry, there are projects of every texture and style for the winter season in this DIY jewelry collection. With snow-themed projects, knit and crochet creations, and winter party jewelry designs, there is something for everyone in this collection of seasonal jewelry making ideas. Winter is the season of sparkling snow. Make jewelry projects to match the shine of a winter wonderland with the tutorials found in Jewelry Making with Crystals: 35 Sparkly DIY Jewelry Projects! There are many ways to make jewelry by knitting, or craft crochet jewelry, and there's no better place for these designs than fashion jewelry for the winter. Knit a DIY bracelet that's comfortable and soft to match a scarf, or try out a crochet bracelet pattern that complements your winter coat. These DIY jewelry patterns are perfect for fashion jewelry for the winter, because they can match your cold-weather gear and keep you warm and comfortable at the same time. With the help of these cute DIY jewelry patterns, your fashion for the winter will be sumptuous and stylish. 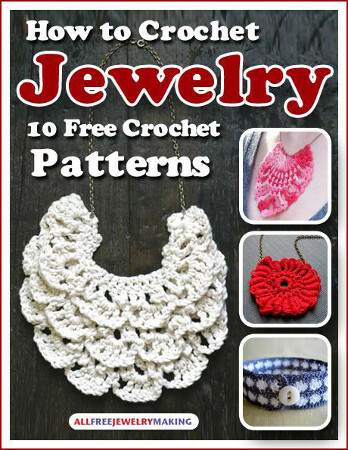 If you love these crochet jewelry patterns, you are sure to adore the projects in How to Crochet Jewelry: 10 Free Crochet Patterns! Download your free copy of this fabulous eBook today! There's nothing prettier than the sight of falling snow on a crisp winter day, so why not incorporate that lovely look into your fashion for the winter? Everyone knows that no two snowflakes look alike, and when you use snowflakes in for jewelry making, you will give your winter wardrobe a truly unique jewelry look. And though we all hate dealing with ice in the wintertime, there's no denying that it's beautiful to look at. 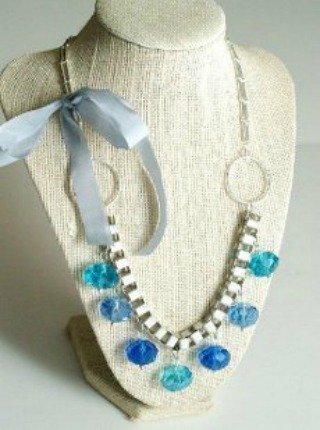 Why not make ice useful by creating crystal jewelry to give a frosty illusion? Winter parties give you the chance to break out your sparkling studs and statement jewelry. With the help of these DIY patterns, you can create some stunning white jewelry for the winter that will be worthy of a walk in a winter wonderland. These spectacular DIY necklaces and earrings will bring color and life into your fashion for the winter. There's no reason not to appreciate the beauties of the season just because the weather's cold, and these lovely jewelry patterns will help you incorporate the best of winter into your personal style. There is no bigger winter party than New Year's Eve! If you are looking for the perfect party accessory, you are sure to find it in our collection of 30 Jewelry Crafts for New Year's Eve! BONUS! 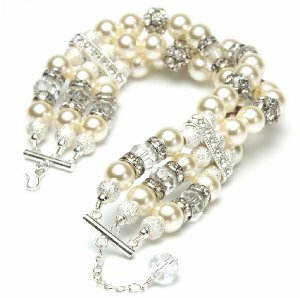 Check out this shimmery and glamorous Frozen-Inspired Pearl Bracelet. With pastel blues, pinks, and ivories, along with the snowflake charms and sparkly silver accent beads, make this the quintessential winter bracelet. 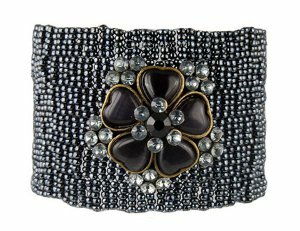 This bracelet is so stunning that you won't want to let it go. The silver braches bracelet is so unique - love it!